The Ducks are back! Following the epic battle for the local championship, and then on to the next (very sensible) challenge of going to the Junior Olympics, this team of misfits is going to face their biggest obstacle yet: composing the junior varsity hockey club for a private school. 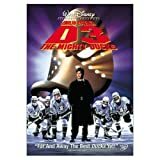 Tensions rise from the start the beloved Coach Bombay (Estevez) is replaced with Ted Orion (Nordling), who immediately strips Charlie (Jackson) of his position as the team captain. As a result, Charlie considers leaving school to become a pro hockey player, which, like everything in the story, makes total sense. In the end, the Ducks learn that they must embrace the new style of playing if they are going to defeat their new nemeses - the varsity squad.